One woman's quest to discover the dark secret at the heart of a family Actor Gwydion Morgan's dramatic appearance at Jessica Mayhew's psychotherapy practice coincides with a turbulent time in her own life - her husband has just revealed that he's spent the night with a much younger woman. Gwydion, son of the famous Evan Morgan, is good looking and talented but mentally fragile, tormented by an intriguing phobia. Jessica is determined to trace the cause of his distress. So when his mother phones to say he is suicidal, Jessica decides to make a house call. The Morgans live in a grand cliff-top mansion overlooking a rocky bay with its own private jetty. It's a remote and somewhat sinister place. On her visit, Jessica finds out that an au pair who looked after Gwydion as a child drowned in the bay in mysterious circumstances. Could it be that Gwydion witnessed her death? In her quest to help her client, Jessica finds herself becoming embroiled in the Morgans' poisonous family dynamic. At the same time, she has to deal with the demands of her own domestic life: her struggle to keep her marriage intact, as well as her older daughter's increasingly defiant behaviour. And then, of course, there is the growing attraction she feels towards her new client . . . This is what I would like to call: a fluffy psychological thriller. It was just okay for me. It packed an exciting enough plot line that had me starting and finishing the book within a couple of hours. The House on the Cliff was no spectacular addition to it's genre, nor does it live up to it's seriously sinister front cover art, but I enjoyed it's twists, and would definitely recommend it as a rainy day read. We meet Jessica Mayhew in the midst of marriage troubles. Her husband is fresh off a one-night stand he shared with a co-worker overseas, and insisting that it was definitely "nothing." I felt like this incident was satisfyingly handled. Jessica was the right amount of angry for me, and her inability to just forgive and forget throughout the novel was refreshing, and realistic. Jessica, a psychotherapist by trade, then meets an interesting new client by the name of Gwydion Morgan (what a name, right?). The attraction to this man, and his mysterious inner turmoil, is instant, and soon Jessica finds herself entrapped in a unsolved murder case involving Gwydion and his equally mysterious family. With her husband's act of betrayal playing the catalyst, and excuse, for much of Jessica's behaviour as the story unfolds, we are brought along as she takes it upon herself to solve not only Gwydion's mystery, but eventually, her own. The writing in The House on the Cliff wasn't profound, or unlike many mass produced mysteries out there-actually,it tended to be a bit overly descriptive, and repetitive, at parts. However, it was solid, and did exactly what it needed to: it laid out the facts, and helped bring the bad guy to light. Everything that filled in those spaces was enjoyable, and definitely kept me engaged. I was a fan of the author's scenic descriptions, especially when the main character traveled to Stockholm. There were sub-mysteries to solve: like, who was Jessica's daughter Nella sneaking around with? What kind of person was her husband Bob, before he married her? Side note: This is my own personal pet peeve, but I could not, for the life of me, accept Jessica and Bob's style of parenting. They were OVERLY lenient with their 16-year-old daughter, and at one point, the author has them point out that she's "of age" to be doing as she pleases. Um...no she most certainly is NOT. If I was doing what Nella did at the ripe age of 16, I would have been LOCKED IN MY HOUSE FOR LIFE. I just found that aspect of the book to be a little unrealistic, and extremely hard to connect with/understand. But, again, that is most likely just a cultural difference. 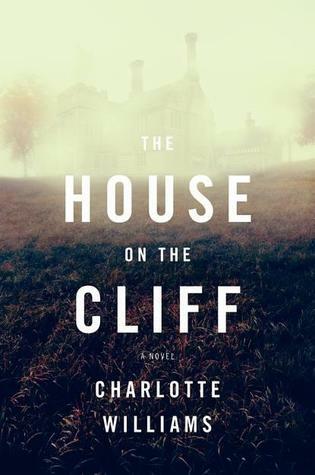 In all, The House on the Cliff wasn't a book that knocked my proverbial socks off, but I was happy to be introduced to the author and Jessica Mayhew: a main character that the author intends to write a series of novels about. If you're looking for a quick, in-between read, this book is exactly the remedy. Recommended for Fans of: Psychological Thriller, Mystery, Suspense. Charlotte Williams studied philosophy at university, and afterwards worked as a journalist, writing for magazines and making documentaries for the BBC. She later trained as a psychotherapist. She is married with two sons, lives in Cardiff, and is currently working on her second novel featuring Jessica Mayhew. 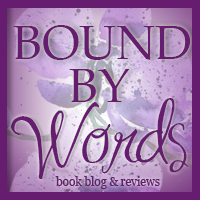 Thank-you to Trish from TLC Book Tours for hosting this tour, and to Bourbon Street Books for sending me a print copy to review! Thanks for sharing your review, it was helpful. 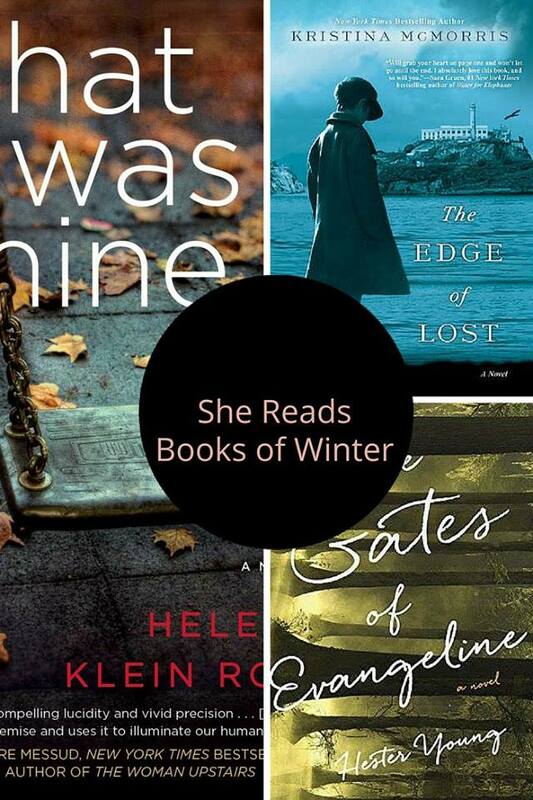 I'm always looking for a good rainy day book!